Since the beginning of the early 21st century, software companies has been made some unexpected moves like expelling hundreds of employees all of sudden. Ousting in mass number, then terming the deed as ‘performance appraisal’ has become a fashion. However, after so many ups and downs, the country’s major IT firms are now making the firm stand in market maintaining a stable growth rate. 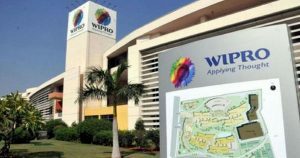 Surprising everyone, India’s third most popular and largest company Wipro has shocked the whole IT fraternity by sacking 600 employees, they mentioned the reason as ‘performance appraisal’. Sources further claim that the number might reach 2000. Earlier in December 2016, the company’s authorities said that they currently have over 1.79 lakhs and are going through a “rigorous performance appraisal process”. The authorities also said that they might end up ousting a lot of employees post the filtering process. “The performance appraisal may also lead to the separation of some employees from the company and these numbers vary from year to year,” the statements given by the company read. Wipro now said that the evaluation process includes mentoring, retraining and upskilling of employees. The company is scheduled to report its fourth quarter and full-year numbers on April 25 of this year. However, it must be acknowledged that all these moves taken by the firms are the effects of the modifications carried over through the Visa with US, Singapore, Australia and New Zealand. The modifications in Visa norms might end up Indian companies in the movement of labor as well as a spike in operational costs. Moreover, Indian IT companies usually earn 60 percent of their revenues from the North American market, about 20 percent from Europe and the remaining from other economies.